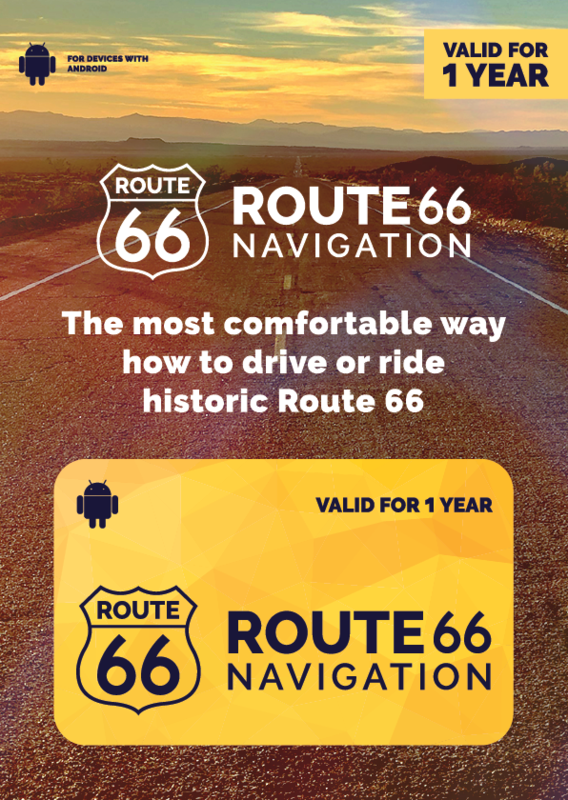 For 2019, Route 66 Navigation, the only navigation application designed for historic Route 66, has introduced new subscription rates and pre-paid cards that can be purchased at more than 40 local businesses along Route 66 from Chicago to Santa Monica. A portion of funds derived from this program supports local businesses, museums and visitor centers on Route 66. Each card with exclusive design has its own unique QR code, which activates navigation for Android phones immediately (or later, at the customer’s option). The annual subscription is sold for $36 + local tax, and a seven-day subscription is available for $ 18 + local tax. In 2019, Route 66 Navigation plans to share thousands of dollars with Route 66 businesses and museums. Point of sale locations are promoted in the app as well as on the social media network. The Route 66 Navigation distribution network is constantly expanding with the addition of new partners. Those interested in selling of pre-paid cards can contact Route 66 Navigation via hello@route66navigation.com. Based on feedback from users, Route 66 Navigation now offers adjusted subscription plans that can be purchased in the app. For those tourists who travel only on short stretches of Route 66, a new 7-day subscription rate is available for just $19.99 in Apple AppStore and Google Play. Annual subscriptions will not be automatically renewed. The new subscription plans will be published in the app soon. Route 66 Navigation is the first and only application for travelers on historic Route 66 driving from Chicago to Santa Monica or traveling from west to east. The application includes many unique features including full offline navigation and Route 66 attraction alerts that prevents travelers from missing important points of interest during their journey. The card project is not the only one that Route 66 Navigation uses to support initiatives on historic Route 66. The company also has supported a number of preservation projects on Route 66, and has published the first free guide to Route 66, in six languages, in November 2018. The book is available at www.route66navigation.com/book.